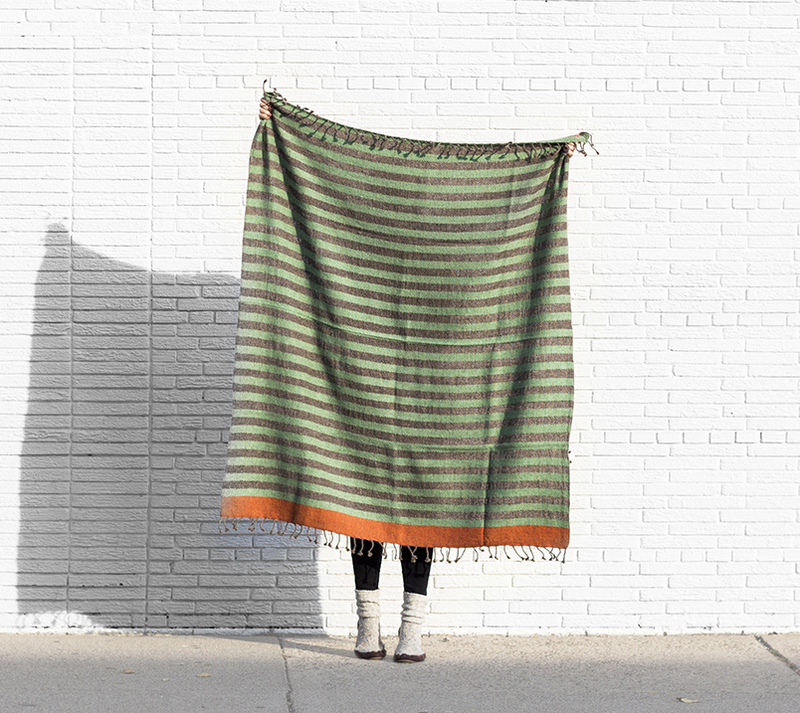 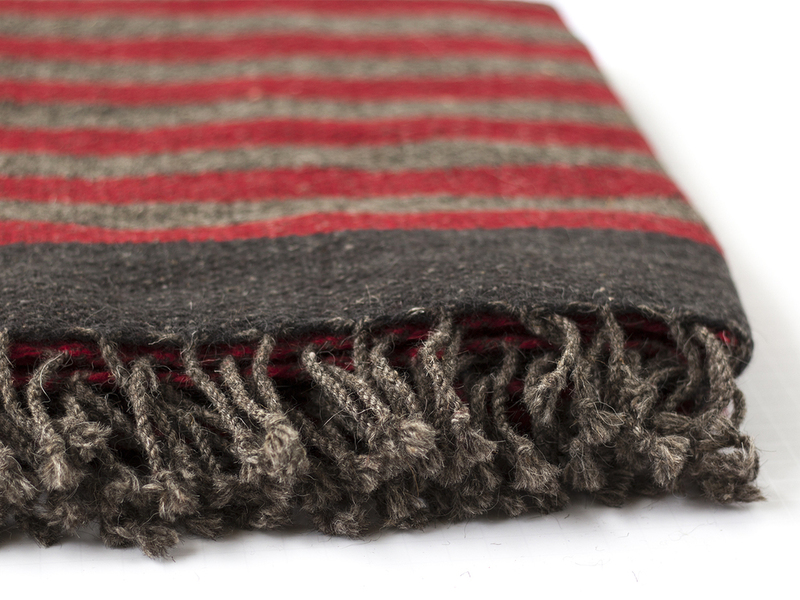 This is our most rustic throw. 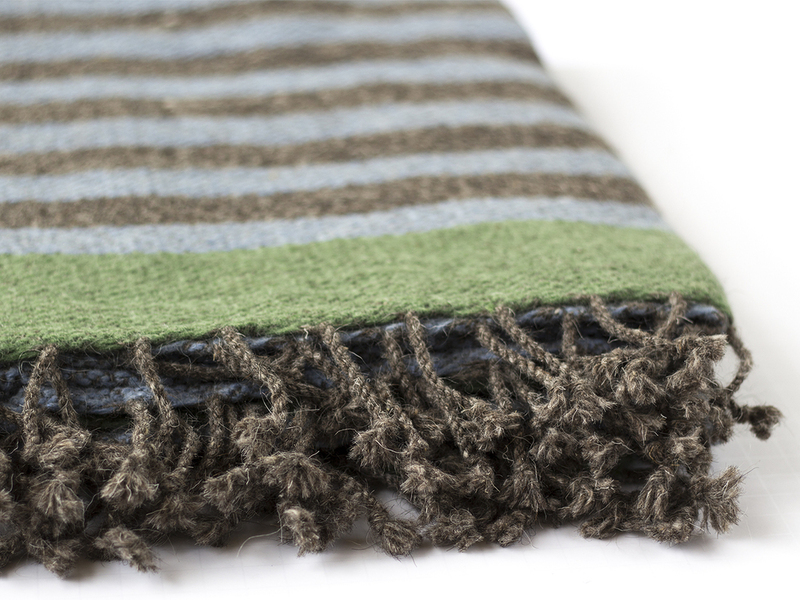 The blend of raw and soft wool produces a slightly rough texture meant to be appreciated for it's earthiness. 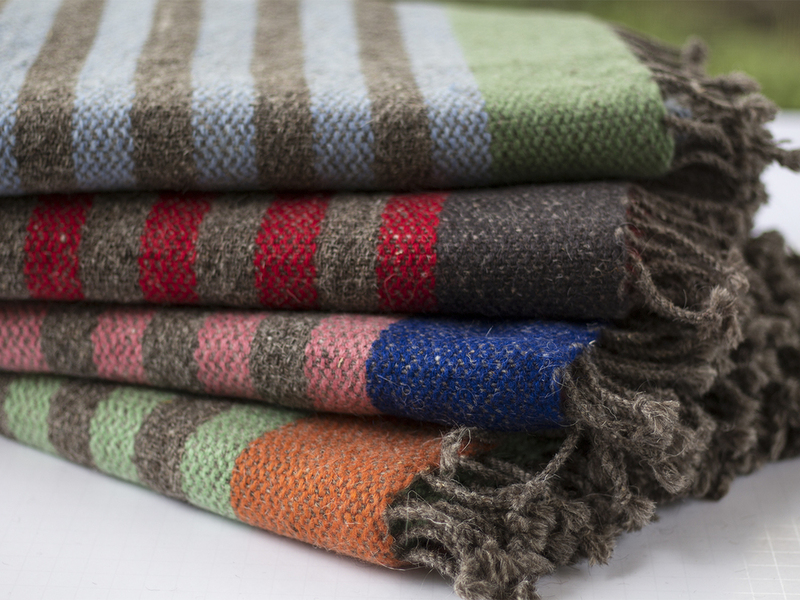 Undyed raw wool is combined with Blue, Red, Tea Rose or Green stripes, each with an accent color at one end.